So in the recent Niche tournament which was compulsory for me as I take debating as my co-curriculum, I partnered up with The Husband (after persuasion on his part). 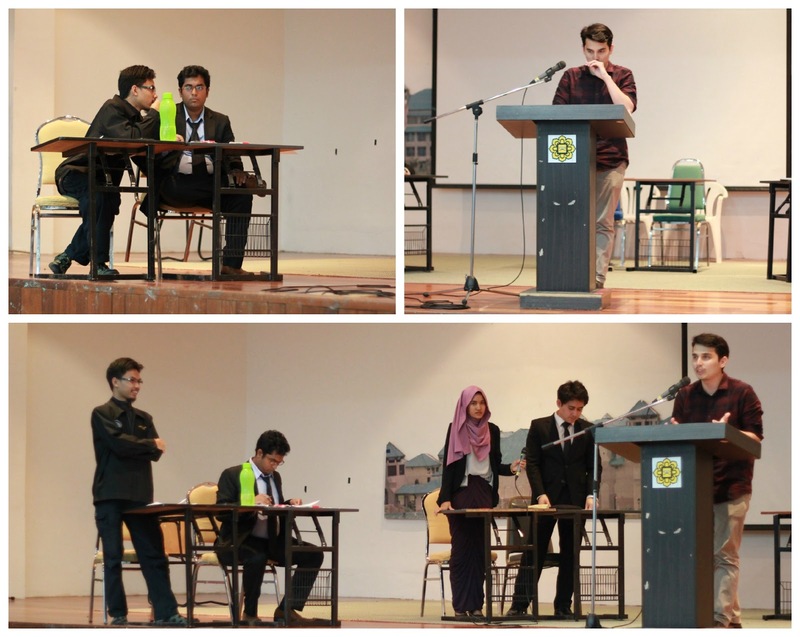 I actually wanted to adjudicate but he really wanted to debate. After 4 preliminary rounds, we broke 3rd. Wow! I cannot tell you how surprised we were for such high rankings when we haven't gone to any training for the past year. In the Quarter Finals, before releasing the motion, Amshar (the Chief Adj) gave us an info slide: Taylor Swift's Blank Space music video. The moment I saw that video, I knew that it was going to be a breeze. Yes, I am a Swiftie. The motion was: TH regrets the aggression of Taylor Swift's post-break up music video Blank Space. We were closing opposition, and I was the whip speaker, my best position. Lucky me, eh? We bagged first. That was my favourite round. Anyway, last night was the finals. And it was in front of a crowd! I was so nervous I was afraid I wouldn't even be able to finish my speech. The motion was: TH regrets the recruitment of Palestinian freedom fighters on the call to jihad rather than on a call to nationalism. And we drew Opening Government. SO UNLUCKY! Here's a look at prep time. 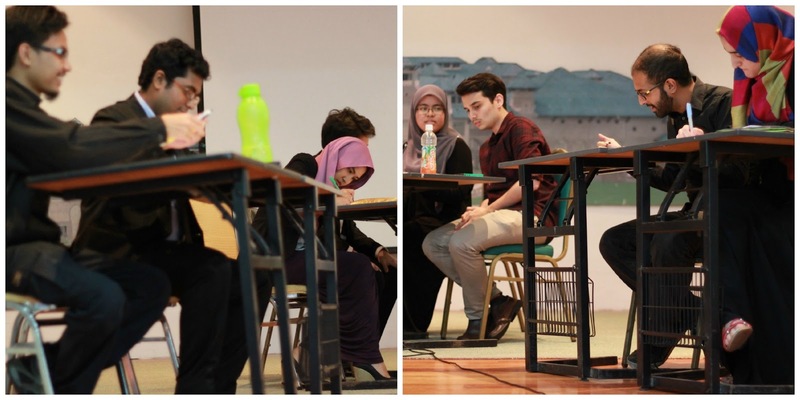 The teams in the finals were OG: #syadhil , OO: Swedish Buns , CG: I am Not a Terrorist , CO: Talibangla (Sara Rahim was in the team. She ranked 2nd to teammate Ameera Natasha Moore at Norton Rose Fullbright Cambridge Women's Open 2014). The prep time ended early. Well...it felt early. I really didn't know what was going to happen because I've always been a bad OG. Only OG. Other positions are good to go. And yet I drew OG. Luck really wasn't on my side. 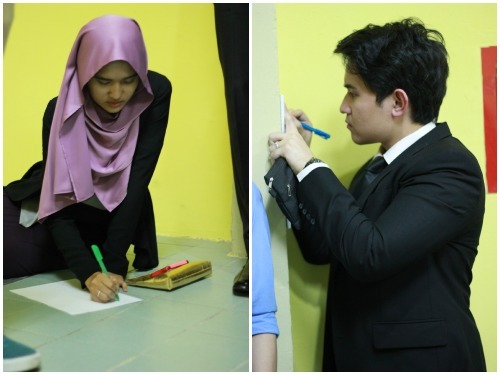 So you'll see me gigih writing before my speech. Here's a look at the debate. 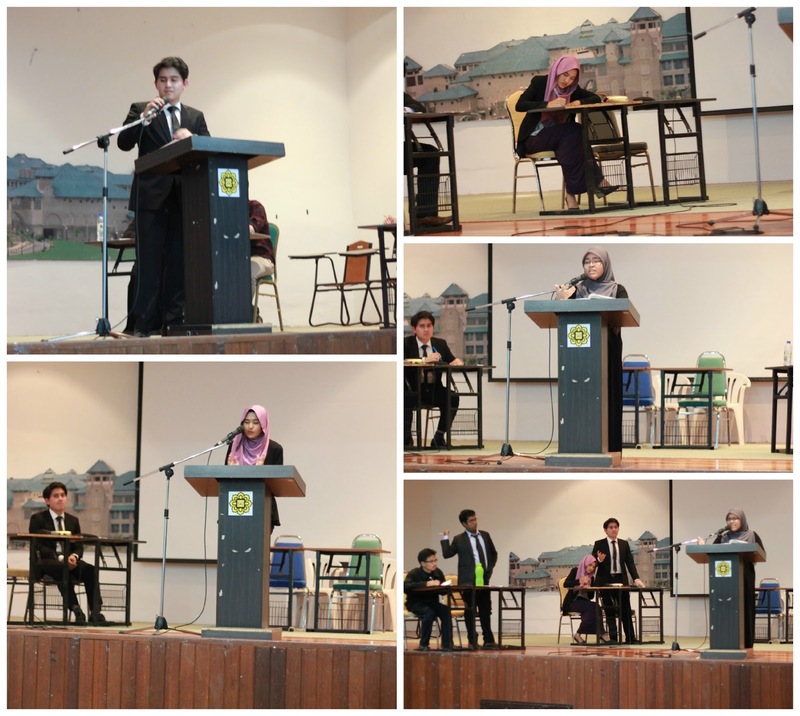 These photos were taken by Nadirah Karim as my usual photographer is debating alongside me. We did not win. 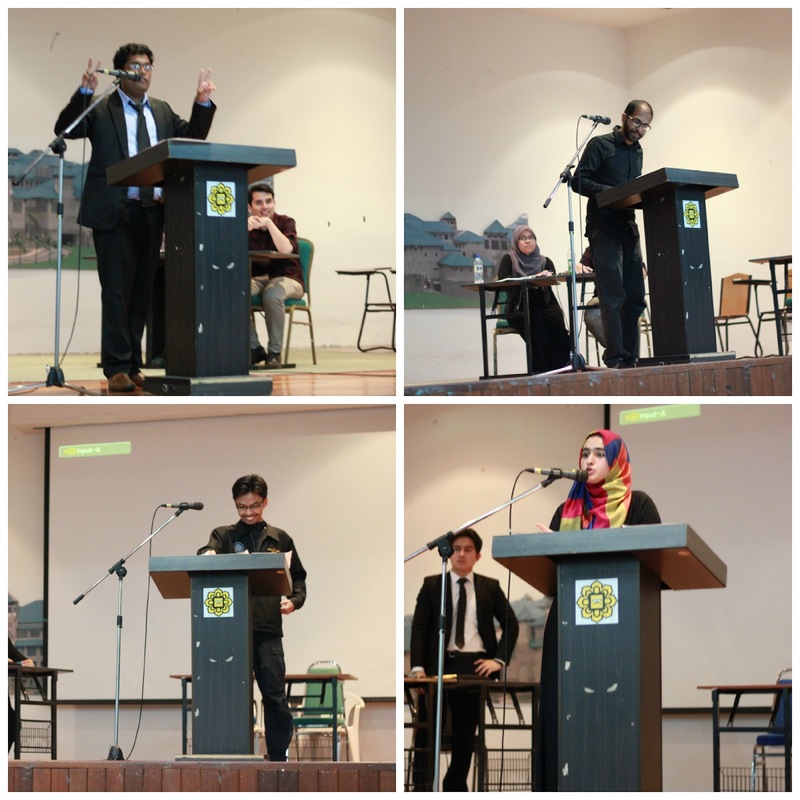 Fakhry and Shitab won with Shitab as best speaker. I predicted this when I was up there because Shitab is really good. This motion was his best. Shitab's best motion: Palestine. My best motion: Taylor Swift. Hmm. Says something, huh? But even then, Shitab knew about Taylor enough to win in his room. Gah. These people (in the last collage) know about everything. The great news is that we did really well and although they only announced the champion, we didn't get last. Overall, The Husband ranked 6th and I'm 7th in the championship. I am truly proud of us because we made it to the finals and we gave it our best shot. All the judges thought we did much better than expected.Oh, and we're getting A's for debate class! Alhamdulillah.